1. Stenographer - 12th class pass or equivalent qualification from a recognized Board or University. ii) Dictation at the speed of 80 w.p.m. in Stenography (English or Hindi) with transcription time of 50 minutes (English) or 65 minutes (Hindi) on computer. 3. Assistant Dietician - M.Sc. (Food & Nutrition) from a recognized University/Institution. ii. Two years experience in the line preferably in a teaching hospital. 4. Staff Nurse Grade-II - Matriculation or its equivalent from a recognized University/Board. ii. Certificate in General Nursing and Midwifery from a recognized Institution or equivalent qualification for Male Nurse. iii. Should be a registered ‘A’ grade Nurse and midwife with a State Nursing Council or equivalent qualification for Male Nurse. 5. Junior Technician (X-ray) - B.Sc. Medical Technology (X-ray) / B.Sc. Medical Technology Radiology / B.Sc. Medical Technology Radio-diagnosis / B.Sc. Medical Technology Radio-diagnosis & Imaging Technology. 6. Junior Technician (Radiotherapy) - B.Sc. Medical Technology (Radiology / Radiotherapy). 7. Junior Speech Therapist - B.Sc. Speech and Hearing from a recognized University/Institution. 12. Technician Grade-IV (Carpenter) - Matric / 10th Std. with ITI Certificate in the respective trade. 13. Technician Grade-IV (Public Health) - Matric / 10th Std. with ITI Certificate in the respective trade. 14. Technician Grade-IV (RAC) - Matric / 10th Std. with ITI Certificate in the respective trade. 2. 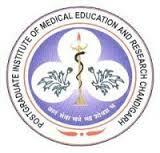 Medical Physicist (Radiotherapy) - Rs.15600-39100 + Grade Pay Rs.5400/-. 4. Staff Nurse Grade-II - Rs.9300-34800 + Grade Pay Rs.4600/-.